The deadline for NFL teams to use their franchise tag (or transition tag) will arrive tomorrow at 4 p.m. EST. However, several teams have beaten the rush and used their franchise tag ahead of the March 5 deadline. Most notable was New Orleans slapping QB Drew Brees with the exclusive version of the tag. The difference is subtle: the regular franchise tag allows players to negotiate with other teams and then allows the parent team the option to either match the offer or decline and then receive two first-round draft picks in return. The exclusive franchise tag prohibits a player from signing with any other team, but it's more expensive, using upcoming year salary estimates to determine the one-year tender value. The difference for Brees: he would be in line to receive $15-16 million if he opts to sign the one-year tender offered by New Orleans as opposed to the $14.4 million he would have received with the non-exclusive version of the tag. Ultimately it might not matter if the Saints and Brees can agree to a new long-term deal, though the move will prevent the Saints from using the tag on two-time OG Carl Nicks and wide receivers Marques Colston and Robert Meachem. In the case of Nicks, his status is a true rarity, a player coming off back-to-back All-Pro seasons hitting unrestricted free agency. Normally a team would break the bank to keep such a strongly performing player, but the Saints already have big money invested at offensive guard with Jahri Evans. Had the Saints reached a new deal with Brees, the franchise tag would have been in play for Nicks. But that isn't going to happen, which means Nicks will hit the open market. Nicks turns 27 in May and looks to have several strong years ahead of him, and it will be interesting to see how much guaranteed money Nicks receives from whichever team ends up signing him. There are some teams out there (e.g. Cincinnati, Denver, Tampa Bay) that have tons of cap space, though some teams with stingy owners might be inclined to keep their payroll down until the salary floor goes into effect in 2013. Currently there is no salary floor, which is something to keep in mind for next year's free agent market where teams will be compelled to spend 89 percent of the cap. Players who have been slapped with the franchise tag who sign their one-year tender will be guaranteed either a predetermined amount of money depending on their position or 120% of the player's cap hit from 2011, whichever is higher. In the case of a few key players that is not a mild distinction, and any 120% players who received the franchise tag will be denoted accordingly below. Here's a team-by-team look at who is tagged and what teams are expected to do before tomorrow's deadline. DOB stands for Date Of Birth. And, yes, much like Shane Douglas in ECW in the 1990s, I have chosen to use the word franchise (and derivations of it) as a verb. Also, franchise tag tender rates are estimates that could end up being slightly higher or lower than reported. Both sides say they hope to work out a new deal, but the franchise tag will almost surely be used if a new contract isn't agreed to by tomorrow. As I prepared this article from publication, news broke that the Bills and Johnson are expected to agree to a new five-year contract before tomorrow's 4 p.m. EST franchise tag deadline. 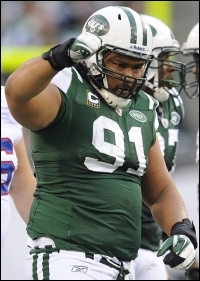 With the team going to a 4-3 defensive approach, it's expected that the team will let NT Paul Soliai (DOB 12/30/1983) hit the open market. Soliai is a natural 3-4 NT who would be out of place in a 4-3, not to mention that since he was franchised last year, he would receive $15 million guaranteed if he was to be tagged again, nearly double the $7.9 million figure that has been set for franchised defensive tackles for 2012. It's expected that New England will try to sign him to a multi-year deal, but there's no way Welker hits the open market. The most likely tag possibility is NT Sione Pouha (DOB 2/3/1979) for $7.9 million, though most indications are that the Jets won't tag him due to salary cap issues. Salary cap space issues have lead to the Steelers jettisoning several veteran players, and that reality prevented the Steelers from franchising WR Mike Wallace (DOB 8/1/1986). Wallace will be a restricted free agent, but the new CBA allows for a top compensation rate of only a first-round pick, down from a maximum compensation level of first-and-third round picks under the last CBA. There is no accounting for high or low round picks with RFAs, and there is talk that Wallace could end up signing with a team holding a low first-round selection, such as the 49ers or Patriots. The 49ers, for example, have plenty of room under the cap to sign Wallace to a front-heavy deal, which could make it difficult for Pittsburgh to match. It seems inconceivable on the service to think that the Texans would let DE/OLB Mario Williams (DOB 1/31/1985) hit the open market, but because he would receive a whopping $22.9 million tender (120% of his 2011 cap hit), it would be next to impossible for Houston to keep him with the franchise tag. Williams should receive some massive offers on the open market, particularly with him having proved in 2011 that he could be just as effective as an outside linebacker in a 3-4 defense as he was in a 4-3 set as a defensive end. There is a possibility that the Texans will use the franchise tag on RB Arian Foster (DOB 8/24/1986) for $7.7 million, though cap space is tight for Houston at this point and Foster will be a restricted free agent. If Foster signs an offer sheet, the Texans can either match or, if the offer is cost-prohibitive, at least receive compensation in the form of a first-round draft pick for losing Foster. Potentially the Colts could franchise WR Reggie Wayne (DOB 11/17/1978) for $9.4 million. But the more likely scenario is the Colts franchising Mathis, though it's also quite possible that Indy will opt not to use the tag as they prepare to rebuild ahead of the start of the Andrew Luck era. As this Twitter post by Tania Ganguli last month revealed, the only player the Jaguars would consider using the franchise tag on is Scobee. There are reports that the Jaguars want to sign Scobee to a long-term deal, and the franchise tag could be used to keep Scobee in house until a deal can be reached. ESPN's Adam Schefter reported on Friday that the Titans don't plan to use the franchise tag on CB Cortland Finnegan (DOB 2/2/1984), and Finnegan's house in the Nashville area is up for sale. All indications are that Prater is the only player the Broncos are considering franchising, though that's not a lock at this point. According to Adam Schefter, the Chiefs plan to franchise Bowe. Kansas City certainly has the cap room to absorb the one-year hit if a long-term deal is unable to be reached. Moreover, in 2013 the 120% cap hit rate from the year before would be $11.28 million if the Chiefs franchised him again, which is less than the 2011 tender level ($11.4 million) for franchised wide receivers. The most likely target of San Diego's franchise tag on the surface would appear to be WR Vincent Jackson (DOB 1/14/1983), but because of the 120% 2011 cap hit rule, he would be due $13.7 million. 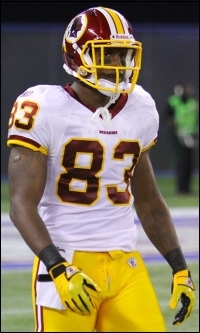 Jackson caught a tough break by not being an unrestricted free agent under the "final year plan" that raised the tenure needed for UFA status from four years to six in 2010, which proved to be a one-off with the NFL going back to the four year level under the new CBA. Citing an anonymous source, ESPNDallas.com reports that the Cowboys plan to franchise Spencer before tomorrow's deadline. There are twenty pending free agents on the Giants roster, but there has been no indication that the team plans to use either its transition tag or franchise tag on any of them. The team signed WR Domenik Hixon to a new deal over the weekend, but you can anticipate the time-honored tradition of other teams overpaying for players from the Super Bowl champion teams to continue later this month. Even if they hadn't signed Hixon, the Giants looked unlikely to tag any of their pending free agents. As per this article, Lions GM Martin Mayhew said, regarding Avril, "Franchising him is not a good option for us. The only worse option is playing without him." Take that as you will, but I would be surprised if Avril is not franchised before tomorrow's deadline. With the Packers having signed TE Jermichael Finley to a new deal, it gave Green Bay the option of using the franchise tag on Flynn. The idea of the franchise tag is that the Packers would retain Flynn's rights and then trade him for compensation, perhaps to Miami where former Packers OC Joe Philbin recently took over as the team's head coach, in a move similar to what the Patriots did with QB Matt Cassel after the 2008 season. There is risk involved for Green Bay though, as once Flynn signs the tender, he's locked in for $14.4 million guaranteed for 2012 no matter what, even if the Packers aren't able to trade him. I would suspect that, if Flynn is franchised, it will be because the Packers already have the parameters of a trade set up. If such a plan is in place, word of it hasn't leaked out yet, which makes me suspect that the Packers will let Flynn walk. According to this post on Twitter, and speculation from every sports outlet out there, the Vikings have no intention of franchising any of its upcoming free agents. The Panthers overspent to keep several free agents in house after the new CBA went into place, including giving $21 million guaranteed to RB DeAngelo Williams and a whopping $32 million guaranteed to DE Charles Johnson to keep them off the open market last July. In a related note, the Panthers are having problems making it under the salary cap now, and they sure don't have the cap room to absorb the hit of a franchise tag one-year tender. As Bucs GM Mark Dominik revealed last month, the team plans to use its franchise tag on Barth if they are unable to reach a new deal by tomorrow's franchise tag deadline. As I was working on this article, word broke that the Seahawks have signed pending free agent RB Marshawn Lynch (DOB 4/22/1986) to a four-year, $31 million contract with $18M guaranteed. The Seahawks were expected to use their franchise tag on Lynch had they not signed him to a new deal before tomorrow's franchise tag deadline. It's highly doubtful that the Seahawks will tag any of its other pending free agent players. It's not expected that the rebuilding Rams, with new management in place and no high-profile players heading toward free agency, would use either the franchise tag or transition tag.